While it’s true that no two estate plans are identical, it’s also true that almost every plan incorporates the same key documents. Whether you are creating a plan for the first time or updating an old plan, you can expect to include several important pieces. Each of these pieces will be tailored to fit your individual situation. Here is a handful of the most common estate planning documents you can expect to include in your plan. When most people think about estate planning they think about writing a will. A last will and testament is something everyone should take the time to make once they become adults. Even though most modern wills are used in conjunction with other estate planning tools, no estate plan is complete until you have created one. A trust is often the cornerstone of modern estate plans. Through your trust you can take advantage of significant benefits, such as avoiding probate, minimizing your tax exposure, and keeping your affairs private. There are trusts that can meet very specific needs, such as allowing you to care for a child with special needs. Regardless of the type of trust you create, the document in which you create it, known as a trust instrument, is a vital piece of your plan. In many situations, people choose to create multiple trusts, in which case they will need to create multiple trust documents. Some of your property won’t be addressed through your will or covered under your trust. Life insurance policies, pay on death bank accounts, and other assets that allow you to choose a beneficiary can play an important role in your estate plan. These assets will allow you to choose who your beneficiary is by writing your choice on a specific document. You might have a number of these types of assets, and you’ll have to make sure that you have chosen the appropriate beneficiary with each of them. An estate plan is almost useless if you don’t have others who will be there to make sure your wishes are followed. One of the most important people in your plan is your choice for executor. 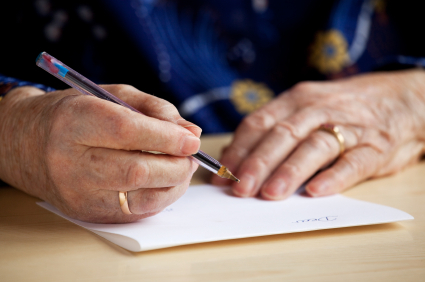 Your executor will be responsible for managing the probate process, and you can leave him or her specific instructions outside of your will by creating a letter of instruction. The letter is an informal tool that doesn’t have to meet any specific legal requirements. It allows you to informally pass your executor instructions and information without having to worry that you’ve made the letter in accordance with specific laws. You and your attorney will create numerous documents as you go about the estate planning process. It’s important to keep a list of all of the important documents as you create them. Your attorney will give you advice about how you can safely store these different elements, but having a single list and making sure you know where everything is can give you peace of mind.